Cass are pleased to announce that our long standing relationship with Bureau van Dijk has been celebrated with the sponsorship of one of the Bunhill Row Learning Resource Centre rooms. Cass are pleased to announce that our long standing relationship with Bureau van Dijk has been celebrated with the sponsorship of one of the Bunhill Row Learning Services Centre rooms. The Bureau van Dijk Study Room (Room 1012) sits within Library Services and allows students a dedicated space to use PCs with direct access to Bureau van Dijk’s databases; Orbis, Zephyr and M&A Catalyst products. Professor Marianne Lewis, Dean of the Cass Business School, said: “This is a fantastic opportunity for our students. Tremendous thanks to Bureau van Dijk for their ongoing support of the School. 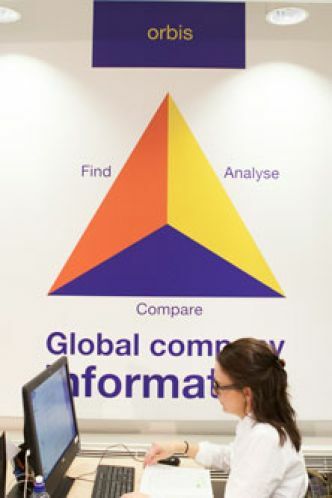 Bureau van Dijk are experts in business intelligence and a vital Cass partner. Indeed, partnering with such world-class firms fuels our efforts as a leading global business school known for academic excellence and thought leadership". Jacqui Gaul, Head of Cass Library Services, said, “Library Services are pleased to continue to build on our established relationship with Bureau van Dijk in branding this popular student space to create a vibrant and dynamic study environment". Fergus Duncan, Managing Director, UK & Ireland, Bureau van Dijk, said: "We’re delighted to offer the Bureau van Dijk Study Room as part of our corporate partnership with Cass Business School – we’re pleased to support its community and its academic excellence. The room is the ideal complement to our provision of company information and M&A data via our products Orbis, Fame and Zephyr. We hope that students will find the space welcoming and inspiring. Academics around the globe are invited to share highlights of their research projects that use our data via #bvdacademic".